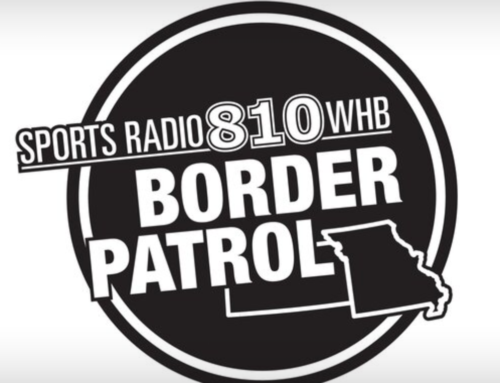 (Overland Park, Kan.) – When golfers hit the links at the 37th Annual Ben & Betty Zarda Family Golf Classic on Monday, May 14tth at Lake Quivira Country Club, they’ll be doing more than enjoying an afternoon of play. They’ll be helping Catholic Charities Foundation of Northeast Kansas raise funds to feed hungry kids and families. New to the golf tournament this year, is an interactive program experience. 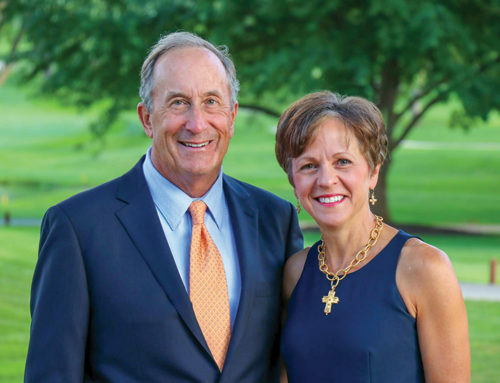 Golfers and other supporters will have the opportunity to learn about Catholic Charities’ food initiatives, including its Kids Summer Food Program. Last summer, 15,264 sack lunches were served to children and their adult caregivers at 32 sites, including 13 libraries. All are located where 50 percent or more of the children in the area receive free or reduced lunch during the school year. “Summer months, in particular, are a challenging time for families who rely on school food programs to feed their children throughout the school year. When school’s out — food’s out, so they turn to agencies like ours for support,” explains Denise Ogilvie, Vice President Outreach and Grants Management. 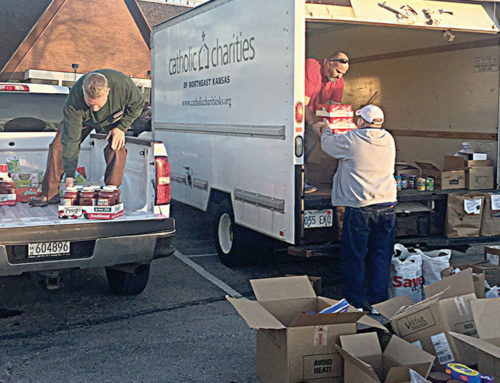 Catholic Charities’ mobile resource bus, which brings food, clothing and other assistance to those living in rural areas with limited resources, will also be on-site to walk through. When traveling, the bus has a case manager on board to provide services such as budget coaching, employment counseling, referrals or help completing paperwork for other existing programs. “This is a chance for them to experience a couple of our programs firsthand and understand the impact that fund raising events like this tournament have on those we serve,” adds Ogilvie. The Golf Classic kicks-off with a catered lunch at 11 am followed by a noon shot-gun start of an 18-hole round of golf. A dinner reception and awards ceremony wraps up the evening. For the non-golfers who want to support the event, there’s a 3 pm wine cruise around the beautiful lake. 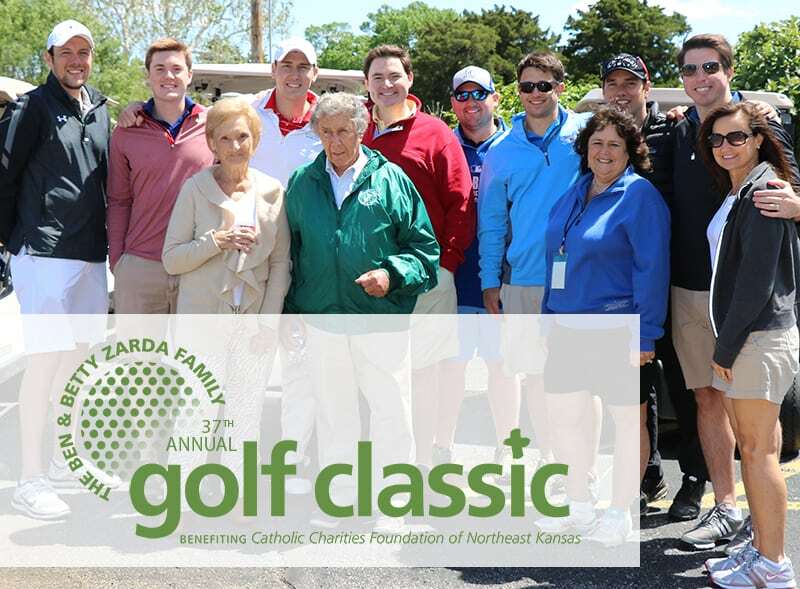 For more information about the Ben & Betty Zarda Family Golf Classic, visit catholiccharitiesgolfclassic.org or call 913-433-2100.